What does it mean to have financial freedom? What does it mean to be financially sound or to have a financial portfolio? For many of us this is all relevant to how much we make and how much we spend i.e. debt to income ratio. Financial stability is something that is learned with much diligence, persistence and determination. 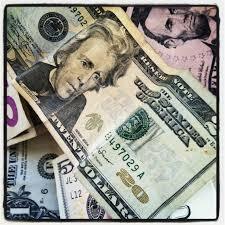 Recently I have seen far too many adult parents having serious hardships with managing money. This is not a direct result of the economic downfall or lack of income it is simply the result of poor money management. Granted everyone has their own bills and debts (some have more than others), but not focusing on money and how to manage it will end up managing you. So if we sacrifice so much why wouldn’t we want to treat ourselves? We can take ourselves to a nice dinner, buy a new clutch or handbag or better yet spend it on a night out on the town. I’ll tell you why you shouldn’t. We live in a materialistic society which feeds on instant gratification. We believe that we have earned the buying power because we have put time in and though we have in fact earned some kind of merit it is more crucial to think of those who are unable to work. I don’t mean the poor or disabled. I mean our children. Far too often I am conversing with parents that live paycheck to paycheck (as do I) and have not a dime saved for their child(ren). The problem is that these parents have the means but instead buy their young child an iphone, ipad or expensive sneakers. Hence they are not teaching their child the value of a dollar in regards to age appropriate gifts. Also, they are not saving for a rainy day. It is imperative that parents take a hard took at their expenses and finances and set goals that allows their money to work FOR them. Pay yourself first. 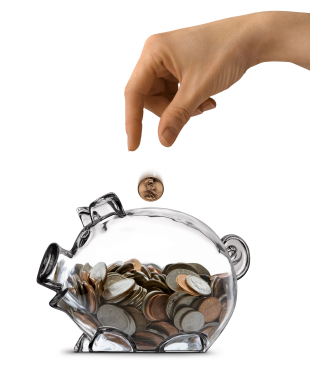 Each paycheck make sure an allotted amount goes into a savings account. As a parent I also urge parents to start a savings account for their child to build up a nice cushion for college or dreams and goals. I, myself am working on this and making sure that my money works for me by setting financial goals. It is important to me to build an emergency fund as well as college funds. As a parent my money is the necessity for survival not only today but also tomorrow. I urge you to begin a savings account for yourself and your child(ren) which is separate from your checking’s account. Also that is more challenging to get to so that deposits are only made. This is one step in financial stability,preparing for tomorrow. Eliminating and controlling debt is another crucial step. By paying off your debt you are better able to have a clear picture of your financial situation and how to better budget your money. By not addressing your debt, prolonging payments you are clearly setting yourself up for failure. As parents and young adults it is crucial to be in good financial standing to be able and ready to provide for a bright future for yourself and your children. Building your credit is vital in today’s economy. Your credit history says a lot about your purchasing habits, what you value as an individual, how responsible you are and most of all your creditability. By making minimum timely payments for the first six months of your purchase you are indeed building your credit and making it known that you are well equipped to handle borrowing money and therefore are a responsible human being. Your credit history follows you for years. No credit is just as bad as bad credit. Not having a substantial amount of credit history will mean needing to find a cosigner for a car, an apartment, house, student loans, ect.. 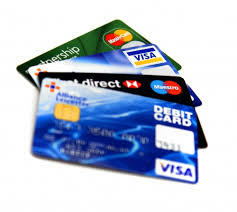 If you know that you are not good with plastic opt for a credit card through your financial institution and ask for a spending limit of no more than two hundred dollars that way you can limit your spending and have some sense of control. Remember to pay the minimum for six months and not continuously pay to charge something else. A tip I learned years ago was to open up two credit cards go on a shopping trip twice a year with your credit card give yourself a limit, hence charge something that is still well within your means, charge it and go back home and tuck your cards away. Now you have officially started your credit but are also controlling your spending.